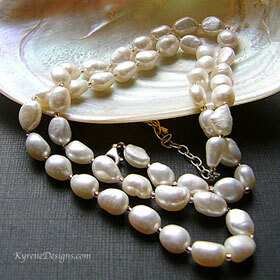 Casual style creamy everyday baroque pearls. Pale silvery lined beads are added for a touch of sparkly interest. This versatile necklace works really well when you simply can't decide what other jewellery to wear! Throw it on any top and you're dressed to go. Length: 24 inches. Sterling silver trigger clasp, plus 2" extender. 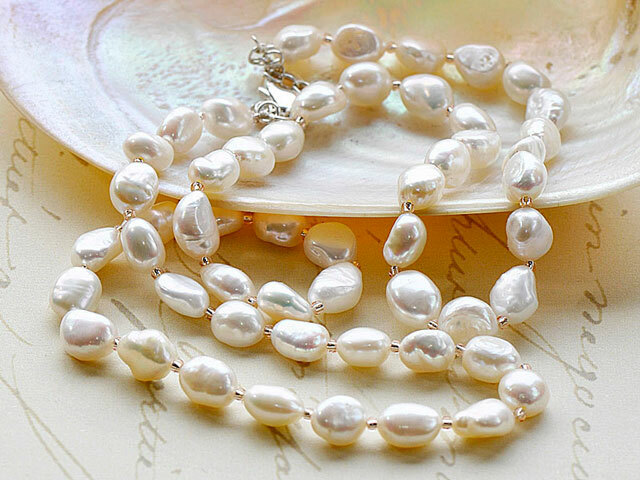 Pearl 9-11mm. Strung for a soft drape. Matching earrings available, please enquire.